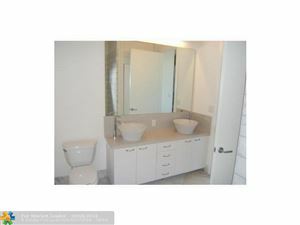 HIGHEND-DESIGNED SPACIOUS APARTMENT, MAKES THIS TRULY "FINE FLORIDA LIVING AT ITS BEST"! IF LOOKING FOR SOMETHING SPECIAL THIS IS IT!!! THIS APARTMENT HAS IT ALL SUCH AS WONDERFUL OCEAN VIEWS FROM APARTMENT, AND GLASS BALCONY TO SIT OUT AND ENJOY THE OCEAN BREEZES. IMPACT HURRICANE WINDOWS AND DOORS-GOURMET KITCHEN OPENING INTO YOUR DESIGNER DINING ROOM AREA. GREAT DETAILS THROUGHOUT THE APARTMENT. APARTMENT CAN BE A TURN KEY SITUATION. TOP SECURITY IN BUILDING WITH ASSIGNED GARAGE PARKING. EASY TO SHOW! BEAUTIFUL END UNIT WITH EXTRA WINDOWS OVER LOOKING BEACH & OCEAN! LARGE LIVING ROOM LEADING TO PRIVATE BALCONY! OPEN KITCHEN WITH OCEAN VIEWS WITH GREAT BAR AREA & DINING AREA IN KITCHEN. FORMAL DINING ROOM FOR LARGE TABLE/UP TO 6 OR 8. SPACIOUS MASTER BEDROOM WITH WALK-IN CLOSET AND EN-SUITE BATHROOM. GUEST BEDROOM AND BATHROOM. WASHER/DRYER IN CONDO. TILE FLOORING THRU OUT HOME. GARAGE PARKING WITH ADDITIONAL STORAGE. AMENITIES GALORE! POOL/HOT TUB OCEANSIDE, WITH AMAZING BBQ, BAR AREA. FULL KITCHEN AND CLUB ROOM, GYM, SHUFFLE BOARD, PRIVATE BEACH ACCESS. START LIVING THE DREAM OF BEACH FRONT LIVING TODAY!!! Beautiful newly renovated (owner gutted-all new). Inspired contemporary sophistication with sleek lines & cutting edge design. Bright open with Intracoastal views lavish bathrooms, en suite Master bath with dual sinks, 36x36 new porcelain floor, new electrical, new plumbing, new A/C. New impact windows & doors, laundry room in unit, new LED lighting, gym, 24 hour security & much more. Great location close to beach & restaurants. GREAT PENTHOUSE IN LUXURY HIGH RISE BUILDING WITH ONE OF A KIND REMODELED KITCHEN AND AMAZING OCEAN VIEW. EVERY DAY YOU CAN ENJOY STUNNING SUNRISE AND SUNSET FROM YOUR HUGE BALCONY. VERY BRIGHT UNIT AND FLOOR TO CEILING WINDOWS MAXIMIZE THE PANORAMIC VIEWS.NEW WASHER AND DRYER, NEW WINE COOLER, NEW ELECTRIC RANGE, NEW MICROWAVE...TILE THROUGHOUT, SPLIT BEDROOMS.RESORT -STYLE LIVING ON GALT OCEAN MILE.PERFECT FOR THE BEACH LOVER, SNOWBIRD OR SIMPLY VACATION HOME. AMENITIES INCLUDE TENNIS COURT, ENTERTAINMENT ROOM, HIS & HERS HEALTH CLUB & SPA WITH OUTDOOR WALKING TRACK ROOFTOP HEATED POOL, GYM DIRECTLY FACING THE OCEAN AND MUCH MORE........WHOLE 19TH FLOOR IS FOR AMENITIES ONLY. EXCELLENT LOCATION, SHOPS & DINNING JUST ACROSS THE STREET.VACANT AND EASY TO SHOW. SPECTACULAR WATER VIEWS, THIS UNIT HAS BEEN TOTALLY UPDATED. GREAT SECOND HOME. DONE TO PERFECTION. ALL NEW HURRICANE WINDOWS AND DOORS. FURNISHED! BOAT DOCK COULD BE AVAILABLE UP TO 40 FT. OWNER WILL FINANCE. THIS IS A MUST SEE! STYLISH ELEGANCE. STUNNING DESIGN & BEACHFRONT LOCATION SET THIS CONDO APART! 8th FLOOR SWEEPING VIEWS OF THE BEACH & SPARKLING OCEAN GREET YOU FOR TRUE FLORIDA LUX LIVING. Non-smoking building, Large neutral tile flow throughout for ease of maintenance. Stainless appliances for the gourmet & lovely new contrasting granite bar & custom cabinets make this kitchen & dining area a stylish tropical dream. CENTER OF BUILDING WITH WIDE PRIVATE BALCONY AFFORDS STUNNING VIEWS OF THE OCEAN, PIER, BEACH & NEW BEACHFRONT RESTAURANTS HIGHLIGHTS THIS IN-DEMAND LOCATION AT LOVELY BERMUDA HOUSE FOR THE PERFECT FLORIDA LIFESTYLE YOU DESERVE! 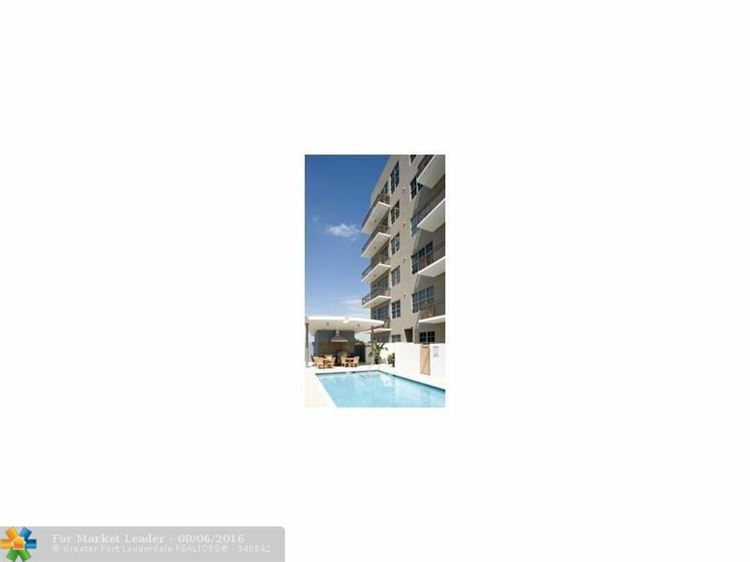 SPACIOUS 2BEDROOM/2BATHROOM UNIT IN AN OCEAN FRONT BUILDING AT PRESTIGIOUS HILLSBORO BEACH. FEATURES INCLUDE UPDATED KITCHEN WITH STAINLESS STEEL APPLIANCES & GRANITE COUNTER TOPS, REMODELED BATHROOMS, ALL LAMINATED WOOD FLOORING, LARGE BALCONIES OVERLOOKING INTRACOASTAL WATERWAY. SECURITY GUARD MENDED LOBBY. BOAT DOCK AVAILABLE. FULL AMENITIES. PET FRIENDLY. TWO GARAGE PARKING SPACES. JUST REDUCED Best priced 3 bedroom condo on the Galt Mile. Spacious 3/2 with fantastic city views, ocean view from dining room window. Building has undergone all major renovations. Impact windows and doors in unit. Marble flooring in living areas and carpet in bedrooms. This unit is in great condition and the furniture is also for sale. SPECTACULAR, UNOBSTRUCTED DIRECT OCEAN VIEWS FROM THE MOMENT YOU OPEN THE DOOR! IMMACULATE INTERIOR DESIGNER UNIT WITH HIGH-END FINISHES & ATTENTION TO DETAIL THROUGHOUT. GOURMET KITCHEN COMPLETE WITH SUBZERO, DACOR & GE MONOGRAM APPLIANCES. WALL OVEN/MICROWAVE, PULL-OUT PANTRY, LARGE BREAKFAST BAR, TONS OF STORAGE & BUILT-IN'S. RECESSED & PENDANT LIGHTING, CROWN MOLDING, IMPACT WINDOWS & DOORS & HURRICANE SHUTTERS. THIS UNIT HAS IT ALL... TRULY MOVE-IN READY! RELAX & ENJOY THIS PRISTINE BUILDING IN THE HEART OF THE NEWLY REDEVELOPED BOARDWALK & PIER AREA. BEACH PROJECT CONTINUES THRU 2020, ADDING NEW RESTAURANTS, SHOPS & FACILITIES! ALL FURNISHINGS NEGOTIABLE FROM FLAT SCREENS TO KITCHENWARE. OVER 60K IN UPGRADES ONE OF A KIND REMODEL MODERN DESIGN! MOST DESIRABLE "05" STACK DIRECT RIVER VIEWS.SPECTACULAR UPGRADES INCLUDE: ITALIAN PORCELAIN GREY WHITE WASHED 48" LONG PLANK TILES, 6" WHITE BASE BOARDS,CUSTOM CROWNE MOLDING.NEW KITCHEN W/ CARRERA WHITE MARBLED QUARTZ COUNTERTOP/ISLAND,MATCHING IN BOTH BATHROOMS,HIGH GLOSS WHITE CABINETS,CUSTOM TILE BACK SPLASH & WALLS,S/S APPLIANCES,DOUBLE STAINLESS SINK,GLASS SHOWER ENCLOSURES WITH RAIN SHOWER FEATURE,UPGRADED LED LIGHTING & WINDOW TREATMENTS. 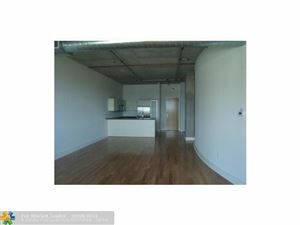 THIS IS A GREAT OPPORTUNITY TO OWN A 1BR/1.5BA CONDO. BOUTIQUE BUILDING IN THE MOST DESIRABLE SUNNY ISLES AREA NEXT DOOR TO MILLION DOLLAR PROJECTS.KITCHEN FEATURES GRANITE COUNTERTOPS, IMMACULATE MODERN INSIDE LOOK, ALL REMODELED,HUGE WALK-IN CLOSET, WASHER/DRYER IN THE UNIT,ALL FURNISHED ONE OF A KIND TURNKEY.LARGE TERRACE FOR RELAXING OR ENTERTAINING WITH OCEAN AND CITY VIEW.HURRICANE SHUTTERS. AMENITIES INCLUDE PRIVATE BEACH ACCESS,HEATED POOL,SPA,GYM,COVERED PARKING.CLOSE TO SHOPS. INVESTOR FRIENDLY. Great ocean and Intracoastal Waterway views from SE corner apt, balcony on west side with city views. Updated kitchen, tile floors, washer and dryer in apartment, dish TV, Internet and A/C included in maintenance, two unassigned parking spaces, heated pool, BBQ, two pets under 25 lbs. allowed, great workout gym and aerobics room, recreation room with billiards table. THIS 3 BEDROOM, 2 BATH HAS IT ALL - LOCATION, PRICE & SIZE! NU RIVER LANDING IS ONE OF FORT LAUDERDALE'S PREMIER LUXURY HIGH-RISE CONDOS! 1,692 SQUARE FEET. CONVENIENT AND SECURE LIFESTYLE ADJACENT TO THE RIVERWALK, LAS OLAS, RESTAURANTS, AND ENTERTAINMENT. UNIT INCLUDES STAINLESS STEEL APPLIANCES, HIGH IMPACT WINDOWS, TILE FLOOR, AND A CORNER UNIT. BRIGHT SOUTHEAST EXPOSURE. CLOSE TO AIRPORT AND BEACH. BASKETBALL, RACKETBALL, BILLIARDS, PING PONG, STEAM ROOM, SAUNA ALL INCLUDED IN MAINTENANCE FEE. BEING SOLD WITH A TENANT IN PLACE UNTIL 5/31/2019! Spectacular 2 bed/2 bath direct oceanfront condo remodeled in 2018 with permits. Open floor plan features 24x24 porcelain tile throughout, smooth ceilings, new doors and trim. Master suite includes oversized bedroom/bathroom, walk-in closet and an extra 12x12 room that could be used as a den/office. Gourmet kitchen features all wood white shaker cabinetry, quartz countertops, stainless steel appliances and marble backsplash. All HVAC, plumbing and electrical replaced to 2018 building codes. Other items include a ventless all in one washer/dryer and huge freshly painted balcony. Resort style amenities include recently remodeled spa, fitness center, rooftop pool, clubroom and more. 1 covered parking space. Live steps from the ocean in this move-in ready condo.